Most users are satisfied with the hard drive utilities that ship with Windows--especially the more powerful partitioning and defragging tools found in Windows Vista and 7. Since you're reading this, though, you're obviously not a "most" type of user. Here are our ten favorite free utilities for partitioning, monitoring, and optimizing hard drives (as well as a few inexpensive for-pay alternatives). Despite offering some high-end features, these downloadable programs won't bust your budget. Microsoft's DiskPart--included for free on each Vista or Windows 7 installation disc--is a perfectly viable tool for manipulating FAT and NTFS partitions, but only if you're in a command-line kind of mood. The vast majority of the time, I want something fast and graphical that supports all file systems. Of all the partition utilities I've reviewed, Parted Magic (now in version 6) remains my top pick--not only because it has the free Gnome partition tool (GParted), but also because it has Memtest86+. I'd say that I encounter about one memory problem for every three hard drive problems, so it's nice to have that memory-diagnostic tool around. If you don't need memory testing, or if you just want an alternative Linux partitioning boot disc, GParted Live is a slightly lighter-weight boot disc that also supports booting from a USB flash drive or an external hard drive. You need to visit the command prompt twice during the boot process, but I have on occasion found that GParted Live boots when the Parted Magic disc will not--and vice versa. Offering an extremely small footprint and very quick boots, Partition Logic seems to work fine, at least with internal IDE drives. My other favorite freebie is Easeus Partition Manager Home: It's professional in appearance and has all the features I generally need. If you love the command line, SMART Monitoring Tools might be for you. In a DOS box, entering smartctl -a sda (or sdb, sdc, or the like) will tell you everything you need to know about your hard drive's SMART status--if you can read the sometimes overlapping information. A better tool for viewing SMART information is Passmark's DiskCheckup. It's free, and you run it only when necessary--it doesn't have any background services sucking up CPU cycles. If you don't run your PC around the clock, this is a better approach. My absolute favorite, though, is the free version of HD Tune; it not only reports drive health (not specified as SMART but the same information nonetheless) but also tests drive performance and scans for disk errors. If you need constant Windows monitoring for a 24/7 PC, you'll have to pay for a program such as Ariolic Software's Active Smart 2.9 ($30) or LSoft Technologies' Active Hard Disk Monitor ($6 and $15 Pro flavors). One great choice for optimization is an older public-domain version (1.72) of DiskTrix's excellent UltimateDefrag (though that version is now impossible to find at the vendor's site). Despite its age, it still has all the features anyone could want, including the ability to choose individual files to move for faster access. The Smart Defrag utility has few user-configurable settings--you rely on the program's logic to automatically optimize your drive. It also shows an ad here or there, but the program works well and is smart enough to know that you can't optimize an SSD. UltraDefrag is another very capable defragging and optimizing program that you can run from a command prompt if you so desire. 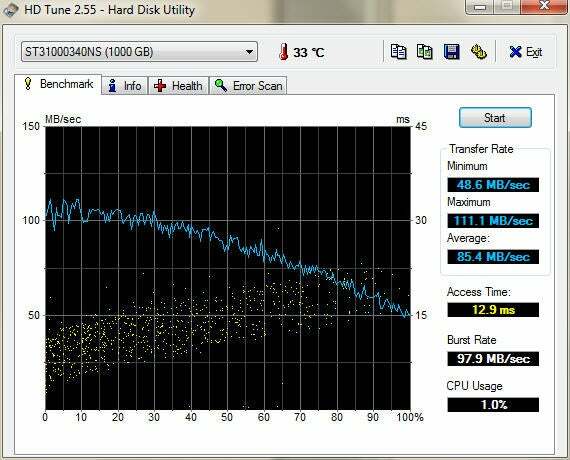 If you have no idea what's on your hard drive, or how much of it exists, you have a fascinating and visually appealing way to find out--Disk Space Fan. That isn't fan as in fanatic, but as in the device for moving air. In this case you browse and tunnel down into the data on your hard drive by clicking on a graphic that resembles a fan. The pro features (finding duplicates, delete, move, and so on) are enabled for 15 days; after that, you'll need to pony up $20 to do anything but view. Even without those features, however, the free version is neat. Really. Download it.